New York Senator John Addabbo. When the New York legislative session ended last June with the future of sports betting unresolved, some gaming advocates expressed concern that any momentum toward legalization could stall with the retirement of state senator John Bonacic. Bonacic, a Republican from the 42nd district, took up the issue early in the 2018 session and authored a comprehensive sports betting bill last year that garnered support in the Assembly from J. Gary Pretlow (89th district), who submitted a counterpart in his chamber. Bonacic, the former chairman of the Senate’s Racing, Gaming and Wagering Committee, was also instrumental in crafting a constitutional amendment in 2013 that may soon bring sports betting to four Upstate casinos. As Bonacic led the committee, Joseph Addabbo Jr. sat in the background absorbing the longtime senator’s approach. He studied Bonacic’s leaderships qualities and observed how the committee chair dealt with legislators from both sides of the aisle. For the most part, Addabbo sided with Bonacic on key gaming issues. Now, as Addabbo takes the reins from Bonacic, some concerns from the gaming community may be assuaged. Much like Bonacic, Addabbo views sports wagering as a revenue driver for the state and an engine for considerable job growth. While addressing legislators Jan. 15 in his annual State of the State address, Gov. Andrew Cuomo called for the authorization of sports betting at the four aforementioned casinos — Tioga Downs, Resorts World Catskills, Rivers Casino in Schenectady and del Lago Resorts & Casino in Seneca County. Hours later, New York Budget Director Robert Mujica cautioned that a constitutional amendment may be required to authorize sports gambling beyond the state’s existing Upstate casinos. But a constitutional amendment would need to be passed by two consecutive sessions of the state legislature before appearing on a ballot referendum the following year. As such, it would take a minimum of three years before an amendment could be approved. 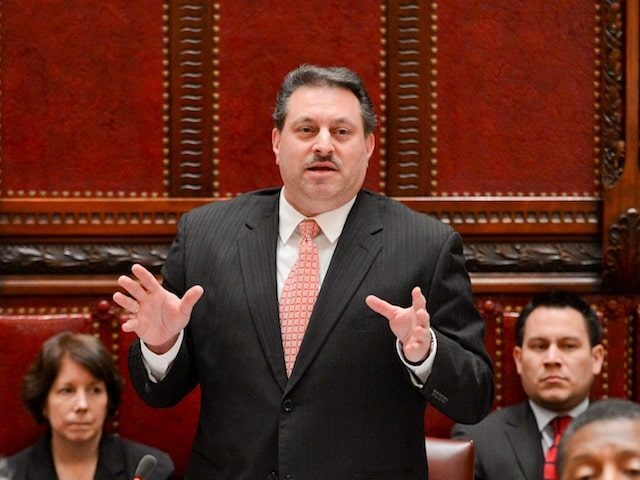 “If I can legally, I would like to avoid a constitutional amendment,” Addabbo said. As early as last month, Addabbo appeared confident that some form of legalized sports betting would be included in the budget. In December, Addabbo filed a bill, S 17, widely regarded an extension of legislation introduced by Bonacic. The bill includes a provision that would enable gaming operators to offering mobile sports wagering, as well as a section that would create requirements for operators to use official league data for certain wagers. It has not been determined if the bill will contain a potential opt-out for sportsbooks, he added. Addabbo notably pressed NBA Executive Vice President and Assistant General Counsel Dan Spillane on the need for so-called integrity fees at a January 2018 NYS Senate hearing. As New York lags behind neighbors such as New Jersey and Pennsylvania, Addabbo is closely watching the calendar. If New York pursues a legislative route for sports gambling, Addabbo has until the end of the session in June to negotiate any changes. Cuomo can also wait until Dec. 31 to decide whether to sign a bill into law. More immediately, the state is facing an April 1 deadline to have a budget in place at the start of the fiscal year. “It consolidates our negotiating time,” Addabbo said. In the interim, the New York State Gaming Commission approved a set of proposed sports betting regulations for the four upstate casinos on Jan. 28. A final vote likely will not be held until sometime this spring, at earliest. Based upon conservative market estimates, Addabbo projects that legalized sports gambling — if opened up fully beyond the upstate casinos — will bring revenue to New York of anywhere between $10-$30 million annually. By comparison, the New York state budget projects revenue of $4 mm in the 2019-2020 fiscal year, the Albany Times-Union reported. 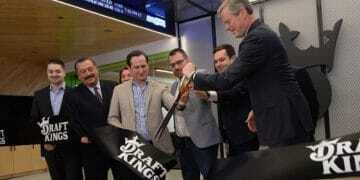 From mid-June of 2018 when New Jersey saw its first brick-and-mortar sportsbooks launch, to the end of the year when eight sportsbooks had gone online, total dollars legally wagered in the Garden State reached 1.25 billion, with the state collecting over $10 million in new tax revenue generated from licensees’ gross revenue. From a young age, Addabbo received an up-close education on the most consequential political issues in Washington. Addabbo’s father Joseph, a graduate of St. John’s University’s School of Law, spent more than two decades as a Democrat in the U.S. House of Representatives. By the 1980s, Addabbo ascended to chairman of the U.S. House Appropriations Subcommittee on Defense where he distinguished himself as a vocal critic of President Ronald Reagan’s missile defense program. The elder Addabbo, according to his son, never held anti-missile or anti-defense ideologies. Instead, Addabbo was motivated by strict principles of fiscal conservatism. Addabbo’s efforts resulted in a 1982 amendment that erased $988 mm from an appropriation bill that would have secured funding for the purchase of five MX missiles. Ultimately, Addabbo taught his son the importance of avoiding reckless spending when the public funds could be allocated more judiciously elsewhere. Addabbo spent an extended period practicing law before he was elected to the New York City Council in 2001. Seven years later, he won election in the New York State Senate with his defeat of 10-term incumbent Serphin Maltese. Throughout his tenure, Addabbo has developed a penchant for assisting constituents in distress. Last May, the Senate approved a bill from Addabbo that would make non-biological children of deceased Sept. 11 responders eligible for legacy credits on competitive civil service exams. If New York limits the scope of legalized sports gambling, at least for the foreseeable future, the New York Racing Association (NYRA) would be dealt a significant blow. Last year, Monmouth Park took in approximately $4.03 mm in gross gaming revenue from sports betting providing a boon to the New Jersey thoroughbred racing industry. Addabbo, a Democrat from the 15th district, also views gambling as a job creation vehicle for his constituents in Queens. A $400 mm expansion of Resorts World Casino New York City at Aqueduct Racetrack could bring 1,000 construction jobs and an additional 1,000 positions post-construction, he indicated. 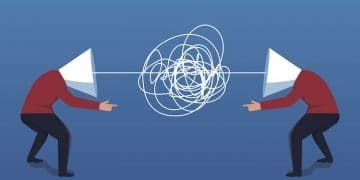 Two other New York venues, Belmont Park and Saratoga Race Course, could also take a hit if they are shut out of potential sports gambling initiatives. Of the $283,603 Addabbo received in contributions during the 2018 election cycle, according to VoteSmart.org, a series of contributions from the gaming industry appear to be relatively modest. Five entities, Genting New York LLC ($8,500), Saratoga Gaming Resources ($7,000), Sustainable Racing New York ($4,000), the New York Thoroughbred Horsemen’s Association ($1,750) and Empire Resorts ($1,000), gave Addabbo $22,250 combined or less than 8% of his total contributions over the cycle. Genting New York is a subsidiary of The Genting Group, the Malaysian owners of Resorts World New York. Empire Resorts is the owner of Monticello Raceway in Sullivan County. 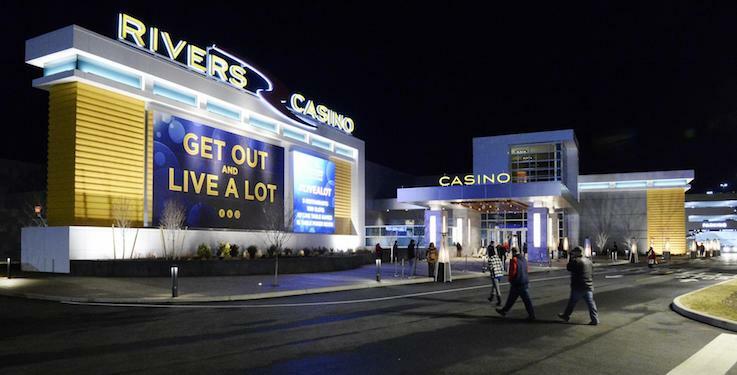 Sports betting could be coming to Rivers Schenectady in 2019 in the wake of proposed regulatory changes in New York. Addabbo also wants to convince New York bettors to remain in the Empire State. Since New Jersey legalized sports gambling last June, bettors from New York have represented about 10 percent of foot traffic at some brick-and-mortar locations.